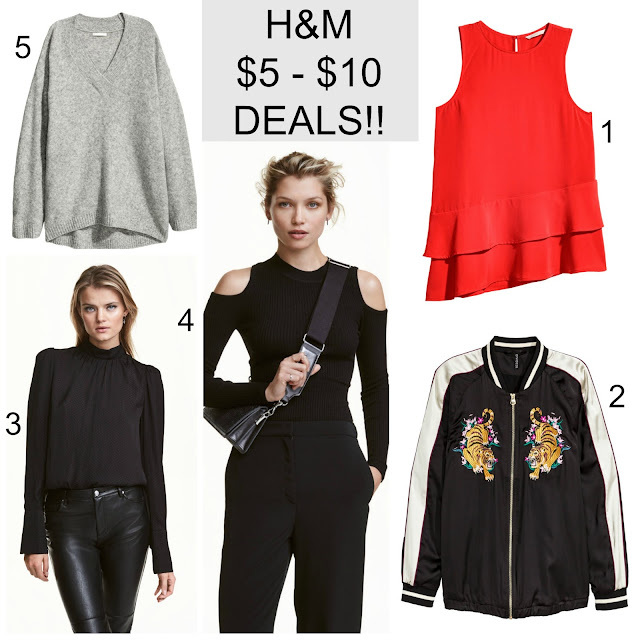 Tracy's Notebook of Style: 20 BEST BLACK FRIDAY SALES to Shop + H&M $5 - $10 Deals! 20 BEST BLACK FRIDAY SALES to Shop + H&M $5 - $10 Deals! Happy Black Friday! Hope you enjoyed your Thanksgiving, now it's time to get your sale shop on! Apologies for being MIA so much lately, this week I was hoping to share more deals with you, but prepping for turkey day and being away the last few days made it more challenging than I thought it would be to blog. There are plenty of sales to go around with new ones added by the hour, plus Cyber Monday deals will be here soon in case you missed anything on your shopping list. Gap 50% off everything with code TGIF50 includes Extra 50% off sale! Target 30% off clothing, accessories & shoes *Cartwheel Extra 15% off clothing, accessories & shoes to combine together for a huge in-store savings! Same here! I'm looking forward to finishing most of my shopping for Xmas on Monday, fingers crossed! I went to the store just to check out that jacket LOL. Didn't get it thou. But I love the ideal of an Black Friday collection!